What good is a tool like Android runtime if it's not even up to date? 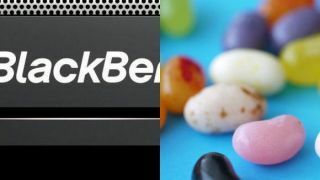 Thankfully, BlackBerry announced on Tuesday at the BlackBerry Jam Europe event in Amsterdam that the Android runtime environment will eventually be updated to Android 4.1: Jelly Bean. Android runtime allows developers to re-package Android apps for use on BlackBerry, but it's currently stuck at Android 2.3.3: Gingerbread. The newly renamed company reportedly announced that Jelly Bean is in the works for Android runtime at the developer-oriented event, later confirming the news with Engadget, though it provided no time frame for when Jelly Bean might arrive. BlackBerry Z10 owners will certainly benefit from an update Android runtime environment, as it ushers more up-to-date Android apps through a shortcut onto the BlackBerry 10 platform. As of Monday, it seemed the BB Z10 could be released in the U.S. on March 27, though the BB10 flagship is already available elsewhere. And, from the looks of it, the phone is selling quite well. Good on BlackBerry for bothering to upgrade Android runtime - no doubt the Canadian phone maker would rather see developers port their apps to run natively on BB10, but runtime provides an easy (if imperfect) alternative. As it stands, Android runtime is like a version of Wine for Mac, which allows Windows apps to be packaged individually for use on Apple's OS without need for a Windows OS license, that's only compatible with Windows XP software. It's true that some emulators, like those for retro video game systems, are meant to preserve old software, but when it comes to Android runtime we'd rather have it as current as possible.